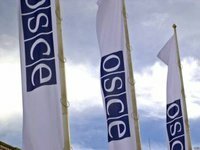 The Special Monitoring Mission of the OSCE in Ukraine (OSCE SMM) has said that in the areas of Donbas which lie outside Ukrainian government control non-transparent 'justice systems' have been created which operate outside Ukraine's legal field and are often non-functional. "Parallel 'justice systems' have begun operating outside of the Ukrainian justice system in non-government controlled areas. The SMM, however, found that these are non-transparent, subject to constant change, seriously under-resourced and, in many instances, completely non-functional," the OSCE SMM said in the report "Access to Justice and the Conflict in Ukraine" posted on its website on Thursday. The report shows that both the conflict and the relocation of the justice institutions have led to the arbitrary deprivation of liberty of people in both government and non-government controlled areas. Also, people residing in non-government controlled areas face additional challenges. Due to the lack of postal services, many are not provided with adequate notice of legal proceedings. "Even where people are notified, they are required to undertake difficult journeys to reach courts in government-controlled areas. Moreover, for certain areas of Donbas which lie outside government control, many court decisions cannot be enforced," the report reads. The report's findings are based on meetings with judges, prosecutors, civil society and other actors.